Rectangular lifting magnets are designed to lift slabs, billets and plate. They are mostly used in shipyards, warehouses, metal-working plants and fabricators. As they have a deep magnetic field, objects with irregular surfaces can also be lifted without any difficulty. Noted among the leading Rectangular Lifting Magnet Manufacturers In Delhi, Jupiter Magnetics Private Limited is committed to deliver only premium quality products to its clients. We always emphasise on an innovative approach to meet or even exceed the expectations of our clients. Several esteemed organizations have placed their trust in us and you can do it too. Flexibility Of Application - These magnets are designed to lift plates of all sizes. So, you don’t have to worry about the size of the object to be lifted. Grade Raw Material - We use only grade raw material while manufacturing these products to ensure long service life and extreme durability. Easy Installation - Our magnets are quite easy to install and maintain which eliminates all kinds of extra efforts for maintaining the performance of magnets. 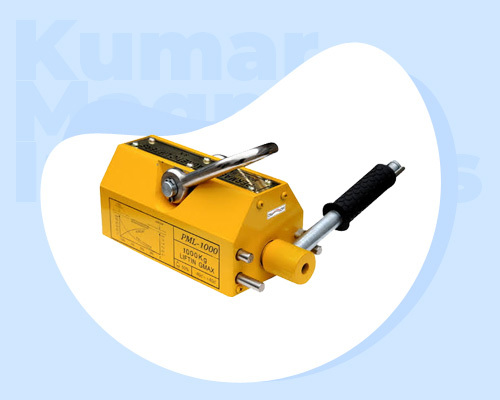 Our company is one of the prominent Rectangular Lifting Electro Magnets Exporters and Suppliers In India. Place your order right now by giving a call immediately on the given number.